Loi Krathong in Bangkok was the first and last time that I had ever been stuck in a traffic jam while travelling on foot. Sounds crazy right? I didn’t even know it was possible to get stuck in traffic when you’re walking, but it certainly is in Thailand’s capital where about eight million people live and work. First things first. Loi Krathong Festival of Light is a must-see sight if you’re visiting Thailand in November. People all over the country let off lanterns and float little banana leaf boats on rivers, lakes and ponds. In Bangkok there are illuminated boats, in Chiang Mai Lanna style lanterns fill the sky and in Sukhothai, where the festival originates from, you can see it on a backdrop of the historical park. This year the festival starts on November 21 in Sukhothai, 22 in Chiang Mai and 23 in Bangkok. Festival of light! A wonderful sight? Take a look at this crowd picture I took while shuffling along at a snail’s pace on a Bangkok road. That was the year when I went to the Chaophraya River to join hundreds of thousands of people in the festival tradition of floating a krathong, which is a small boat fashioned out of banana leaves and flowers, on the river. It was my first time and I was such a novice. I did what everyone else did – took the skytrain to BTS Sapan Taksin and transfered by tourist boat to Asiatique shopping village. Big mistake. That particular shopping village doesn’t face the river so the views were impossible to see. It was so crowded we could hardly move. I could barely see my own feet and my delicate krathong got crushed in the madness. My friends and I decided to just get out of the crowd and find somewhere quiet to relax with a Hong Thong (Thai whisky) but everyone was trying to either come or go by tuk tuk, bus, taxi, motorbike, car and on foot. Three hours later and we were still in the same part of the city marvelling at how we had travelled such a small distance. We squeezed down an alley heading towards the river and found a party of locals celebrating Loi Krathong, letting off sky lanterns and krathongs in a car park. So that’s where we stayed. It was cool watching all the different styles of lantern floating in the air. I counted so many heart-shaped ones! The Thais also showed their love of Manchester United FC by letting off lanterns displaying the logo. I wrote my wish on a latern, lit it and watched my dreams disappear into the sky. Then it was time for home… I kicked myself for not wishing for a helicopter. How to celebrate without getting stuck in a jam! After this crazy, frustrating and pretty cool experience I asked around to find out where is the best place to celebrate and most of my Thai friends said it was best to find a local klong (river) or park and join a community festival. The most popular suggestion was Chatuchak Park (BTS Mochit or MRT Phahon Yothin), which ironically was five minutes from where I lived at the time! This year all of Bangkok’s 29 public parks will be open for the festival. 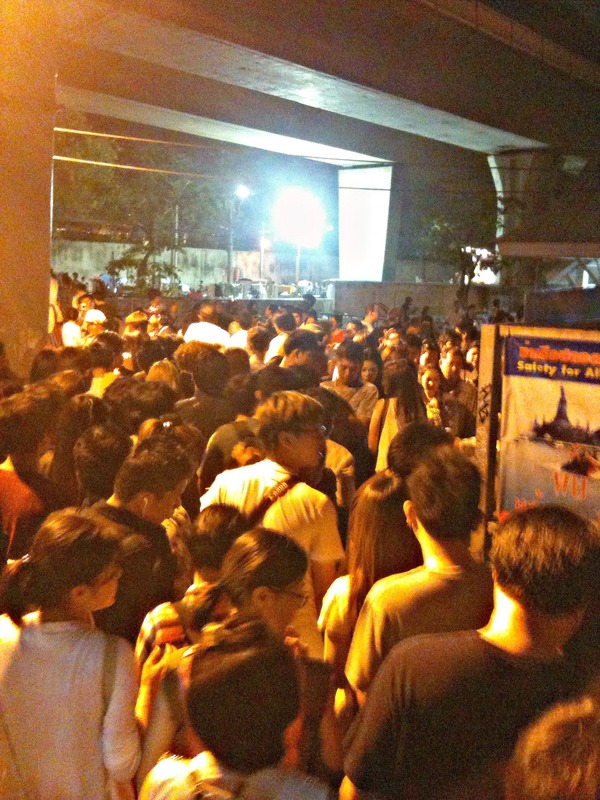 Yes they will be crowded but no where near as bad as anywhere close to Sapan Taksin. Also, why not book a meal at a riverside restaurant? Yes prices will be bumped up for the festival but it’s what is expected. My top picks for riverside dining. Posted in At night, Cultural, TravelTagged krathong, loi krathong 2015, loi kratong, thailandBookmark the permalink.